If you are using WordPress as a CMS for your website or blog then you may find thousands of free themes to use it on your Blog. As the WordPress community is so big lot of contributors contribute new themes and plugin for WordPress users. These days we can find lot of Premium WordPress themes too which we can purchase and install it in our website too. But what if you do not know how to install a WordPress theme ? For those who don’t have any idea on how to install and use new WordPress themes this post is for you. Good to see you here as you have came to the perfect place where you can learn how to install WordPress theme and activate it on your website so you can easily use it without any problems or issues. This tutorial will teach you two widely used process to install WordPress Theme and without further a do lets jump into the process to install WordPress theme into your website. Among the two ways of installing a WordPress theme let’s discuss each of them individually so you can do the way you like yourself. Now Click On Appearance > Themes : This is the place where you can find already installed WordPress themes in your website. If you want to activate any of the pre-installed WordPress theme then you can simply Activate them from here else to add a new WordPress theme move on to step 4. To install a New WordPress theme : You can select any WordPress theme that are available in WordPress directory or you can download any Free or Paid theme downloadable file (themename.zip) and install them. To install a Free WordPress theme from WordPress directory : Click on Add New button (Make sure you are in page Appearance > Themes), Browse any theme you like or you can also search for themes. After you get your desired theme you can click on Install (Or you can Preview how that theme looks with your website). Now click on Activate. The new theme is successfully Installed and activated in your website. To install a WordPress theme out of WordPress directory: Click on Add New button (Make sure you are in page Appearance > Themes), Click on Upload and Browse the themename.zip i.e. the theme file that you want to install into your website. Click on Install and Activate. The new theme is successfully installed and activated on your website. This is another method of installing theme into your WordPress blog. For this you need to login to your website’s cPanel either via browser or any FTP client. After successful login to FTP (from cPanel you can click on File Manager under Files) navigate to the folder public_html/wp-content/themes . Here you can upload the theme file (themename.zip) and extract it. Now Login to your WordPress Dashboard and navigate to Appearance > Themes, there you will find the new theme installed. Click on Activate and you will get the theme activated on your website. So these were the ways to install WordPress theme into your website. I hope these instructions were easy to understand. If there is any problem you can simply leave a comment, we will try to resolve it. Alexa Rank : Is it Important? 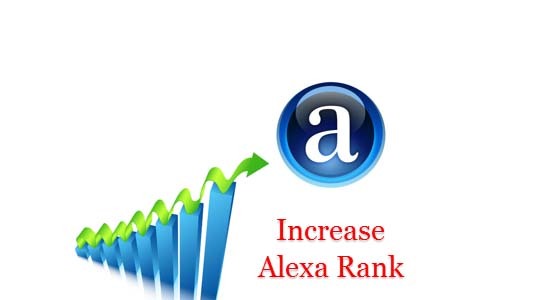 How to Increase Alexa Rank? My hosting don”t support uploading theme via WordPress dashboard. Thanks a lot for this post, now i can easily install any WordPress theme i want in my blog.